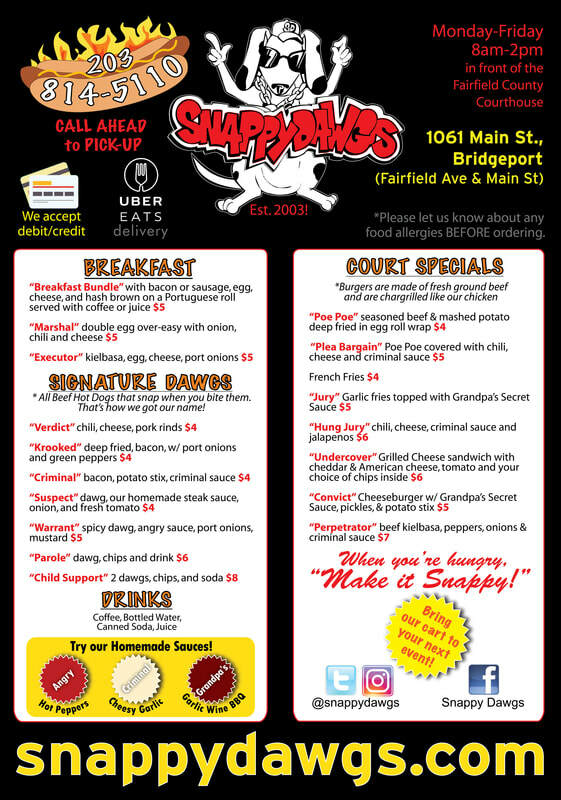 Click image below for a printable version of our Menu. * All Beef Hot Dogs that snap when you bite them. That’s how we got our name! *We can make other foods not on the standard menu for your special event. Just ask!